The men's K-2 1000 metres event was a pairs kayaking event conducted as part of the Canoeing at the 1972 Summer Olympics program. At the 1972 Summer Olympics in Munich, seven events in sprint canoe racing were contested, and for the first time at the Olympic Games, four events in slalom canoeing were also contested, at the Augsburg Eiskanal. The 25 crews first raced in three heats on September 5. The top three finishers from each of the heats advanced directly to the semifinals. One was disqualified and the remaining 15 teams were relegated to the repechage heats. Norway was disqualified for reasons not given in the official report. Taking place on September 7, the top three competitors in each of the three repechages advanced to the semifinals. The top three finishers in each of the three semifinals (raced on September 8) advanced to the final. The final was held on September 9. Sports-reference.com 1972 K-2 1000 m results. The men's K-4 1000 metres event was a fours kayaking event conducted as part of the Canoeing at the 1964 Summer Olympics programme on Lake Sagami, Japan. This event debuted at these games and is only one of two events that has been at every ICF Canoe Sprint World Championships. The men's K-1 1000 metres event was an individual kayaking event conducted as part of the Canoeing at the 1960 Summer Olympics. The men's K-2 1000 metres event was a pairs kayaking event conducted as part of the Canoeing at the 1960 Summer Olympics program on Lake Albano. The men's K-1 4 × 500 metres event was a relay kayaking event conducted over 500 meters as part of the Canoeing at the 1960 Summer Olympics program on Lake Albano. This would be the only time this event was held in the Summer Olympics though it was part of the ICF Canoe Sprint World Championships from 1948 to 1975. The men's K-2 1000 metres event was a pairs kayaking event conducted as part of the Canoeing at the 1968 Summer Olympics program. In the official report, heats were shown timed in tenths of a second (0.1) while the rest of the events were shown timed in hundredths of a second (0.01). The men's K-1 1000 metres event was an individual kayaking event conducted as part of the Canoeing at the 1972 Summer Olympics program. The men's K-4 1000 metres event was a fours kayaking event conducted as part of the Canoeing at the 1972 Summer Olympics program. The men's C-2 1000 metres event was an open-style, pairs canoeing event conducted as part of the Canoeing at the 1972 Summer Olympics program. The men's K-1 1000 metres event was an individual kayaking event conducted as part of the Canoeing at the 1976 Summer Olympics program. The men's K-1 1000 metres event was an individual kayaking event conducted as part of the Canoeing at the 1980 Summer Olympics program. The men's K-1 1000 metres event was an individual kayaking event conducted as part of the Canoeing at the 1984 Summer Olympics program. The men's K-2 1000 metres event was a pairs kayaking event conducted as part of the Canoeing at the 1984 Summer Olympics program. 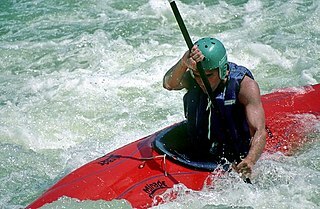 The men's K-1 500 metres event was an individual kayaking event conducted as part of the Canoeing at the 1988 Summer Olympics program. The men's K-1 1000 metres event was an individual kayaking event conducted as part of the Canoeing at the 1988 Summer Olympics program. The men's K-2 500 metres event was a pairs kayaking event conducted as part of the Canoeing at the 1988 Summer Olympics program. The men's K-2 1000 metres event was a pairs kayaking event conducted as part of the Canoeing at the 1988 Summer Olympics program. The men's K-4 1000 metres event was a fours kayaking event conducted as part of the Canoeing at the 1988 Summer Olympics program.